Spiral Quest - Theosis Spiritual Healing! to the exploration of Christian Mysticism and spiritual healing (www.theosis.com). Dr. Stylianos Atteshlis, a.k.a. 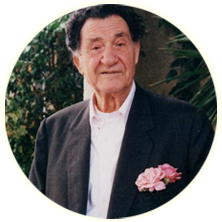 Daskalos (1912–1995) further illuminated the way to spiritual healing and beyond. Paul Skorpen and his wife Birgit, studied and lived with Daskalos in Cyprus until his death. The Institute's courses in healing as well as treatments are based on the teachings of Daskalos. Both Daskalos and Christ believed that it is the Divine Mercy/Love that heals. subconscious as result of our family, personal and cultural conditions and influences. Theosis Spiritual healers serve as an anchor and a guide through this very deep cleansing process. 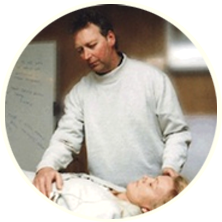 Theosis Spiritual Healing has been taught and practiced throughout Europe and Scandinavia for twenty years. attend the four week training and is now sharing Theosis Spiritual Healing.